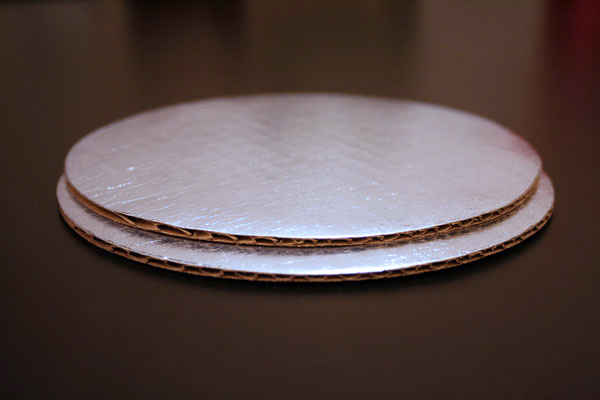 Actual Cake Board Dimensions ~ 6 inch diameter, ~ 1/8 inch thick. These six inch cake rounds are now available. You asked for an attractive and affordable cake board and here it is! Take a look at the photo above and note the razor cut edges of the cake round. 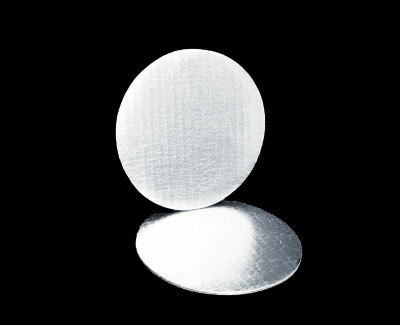 These grease resistant silver foil laminated cake boards are die cut. This manufacturing method leaves the crisp edge of the corrugated cardboard exposed. You can actually see the cardboard flutes giving these little medallions their strength. 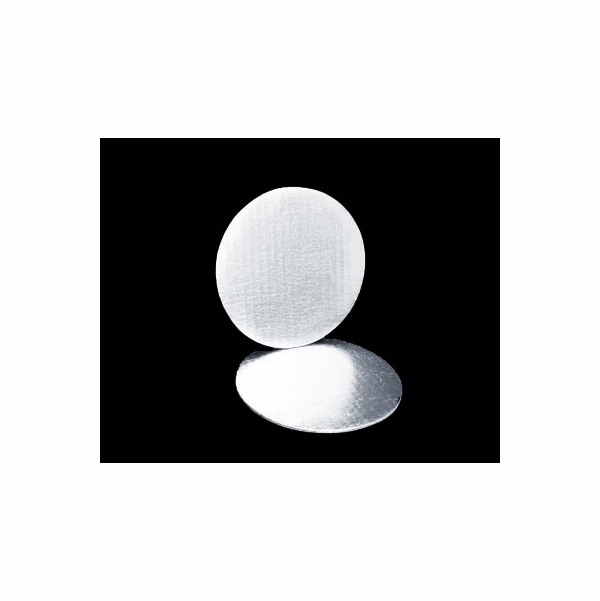 If you are looking for something simple, affordable, strong, and still classy - our six inch cake rounds may be just the platform to present your sweets. I'm always leary dealing with a new company on line but no need to fear with BRP Box Shop. Super fast order fulfillment and LIGHTNING fast shipping. Everything was perfect. I will be back. Best UsesCakes, cookies anything you can come up with! These are nice for first birthday smash cakes. Nicer presentation than a plain cardboard circle. Best UsesSmash cakes or any 4" round cakes. Arrived quickly and exactly when estimated. I was always informed about where my shipment was located. Product looks exactly as it is described . It was just what we needed. This is my second order, the products are great, and the shipping is fast and free! Great company!